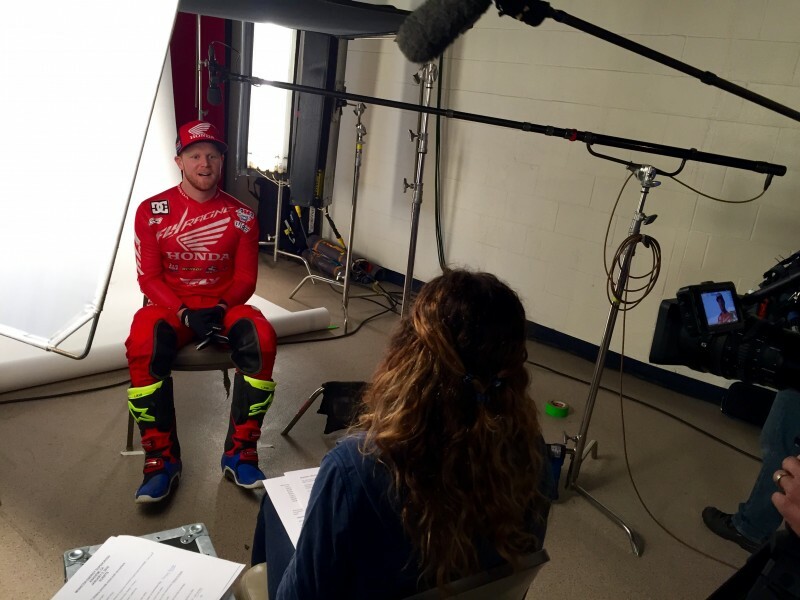 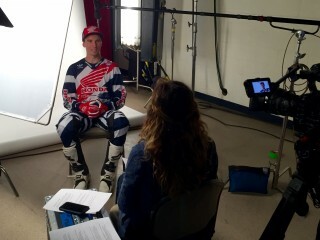 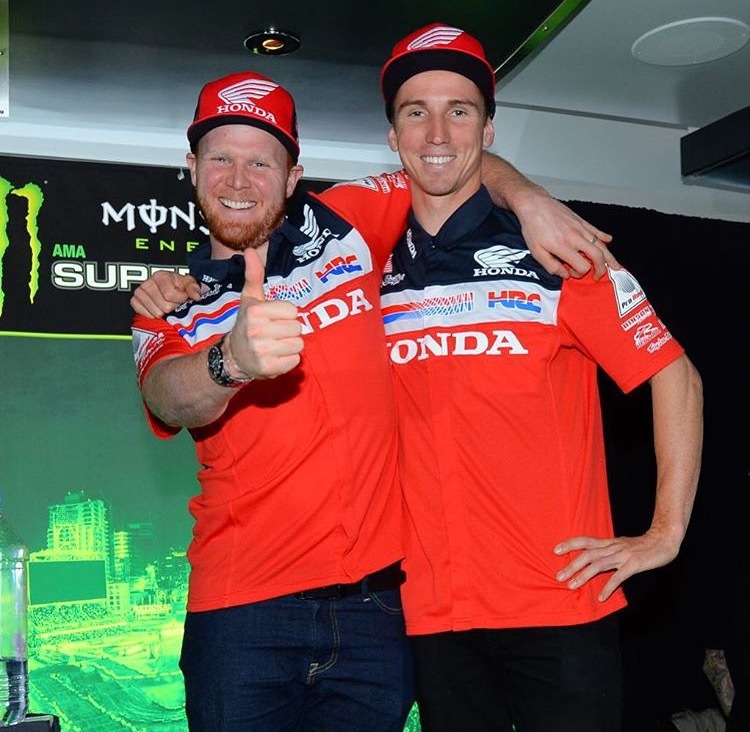 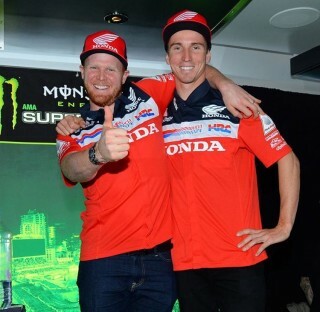 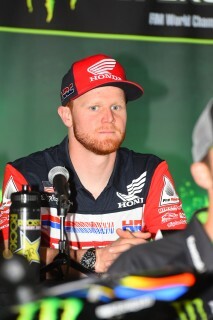 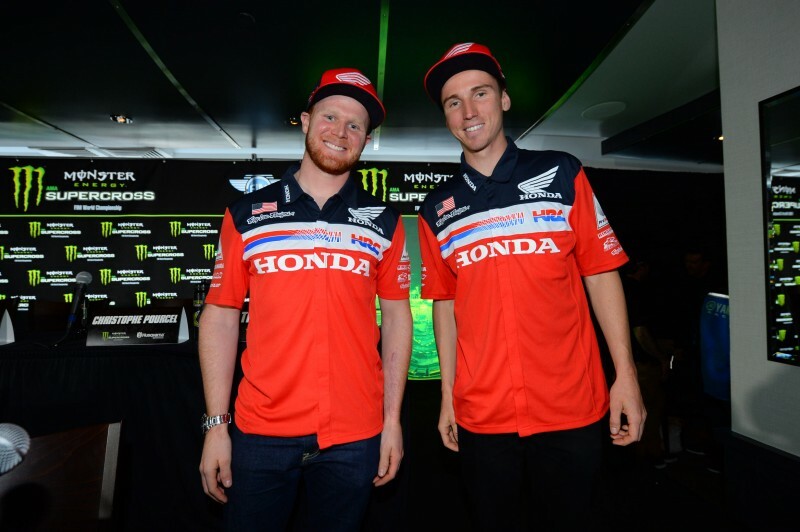 After months of preparation and anticipation, the 2016 AMA Supercross season is set to kick off Saturday at Anaheim, California’s Angel Stadium, where Team Honda HRC riders Trey Canard and Cole Seely yesterday participated in photo shoots and a pre-event press conference. 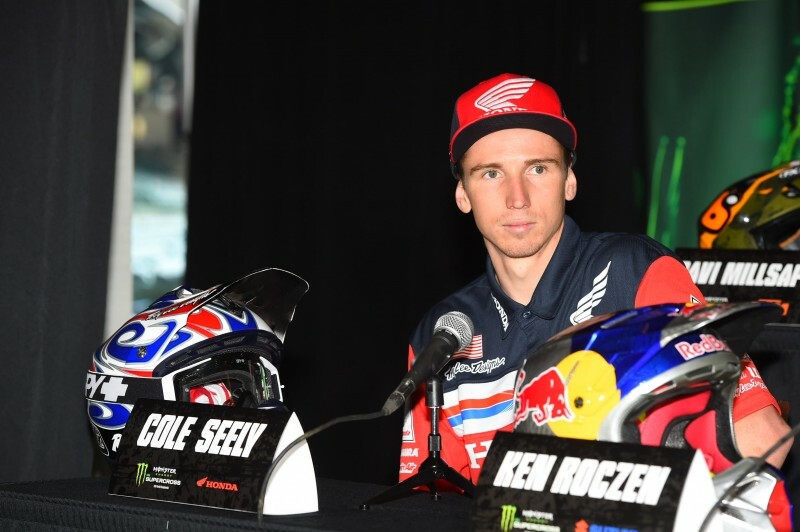 Media Days typically afford attending riders the opportunity to try out the track, but because of the rains that have pelted Southern California this week, officials opted to keep the stadium floor covered with plastic tarps. The riders are now scheduled to ride the course for the first time during Saturday’s daytime practice and qualifying program. 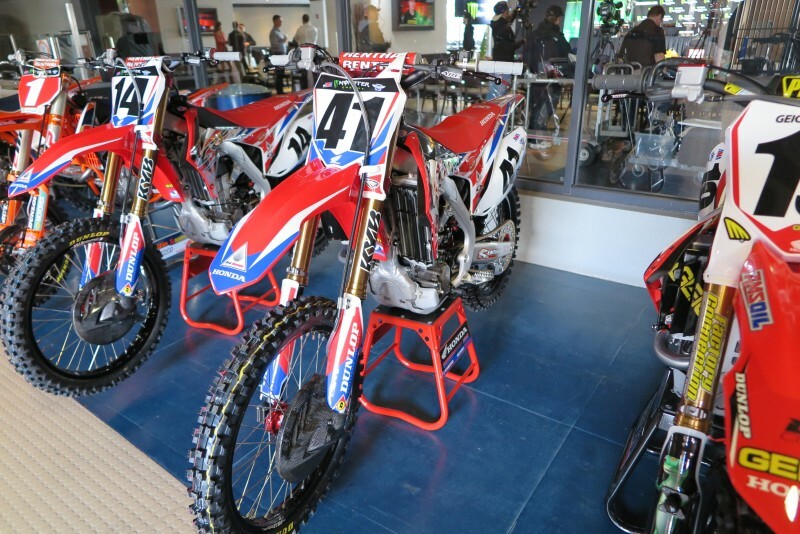 Due to the El Niño weather pattern, precipitation could play in the storylines of several of the Golden State’s supercross rounds this year. 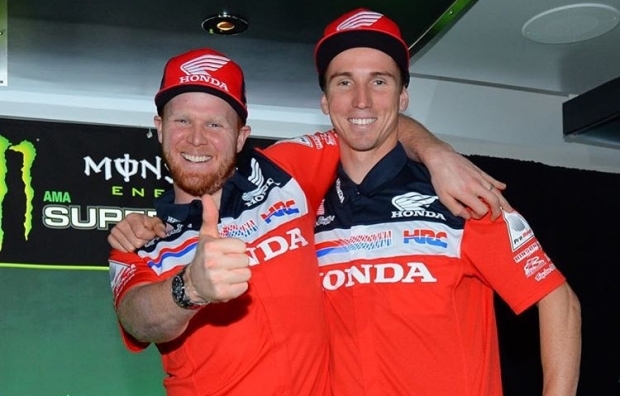 Just as the riders have had to train, test and practice during the preseason, Team Honda HRC staff members have been working hard during the lead-in to the long series. 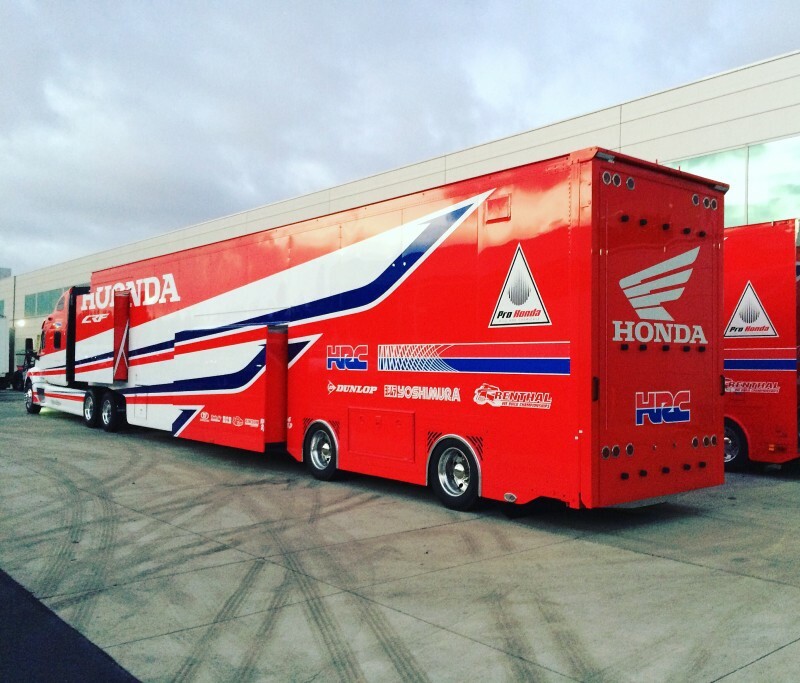 In addition to the normal work dialing in the CRF450R race machines, they’ve had to prepare a new semi trailer that—from design to build—has been almost a year in the making. 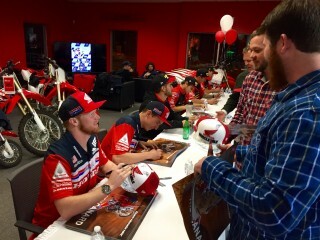 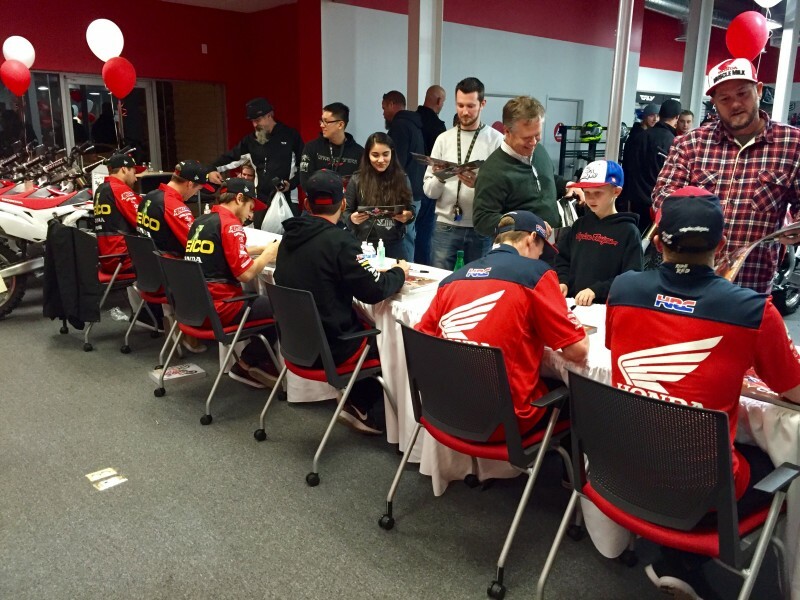 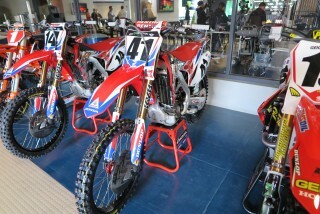 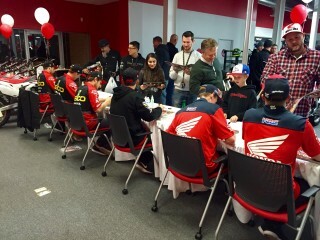 Following the activities at Angel Stadium, Canard and Seely made the 25-mile drive west to Carson, where they took part in a Supercross Season Kickoff Party at SoCal Honda Powersports with GEICO Honda riders Justin Bogle, Christian Craig, Jordon Smith and Jimmy Decotis. 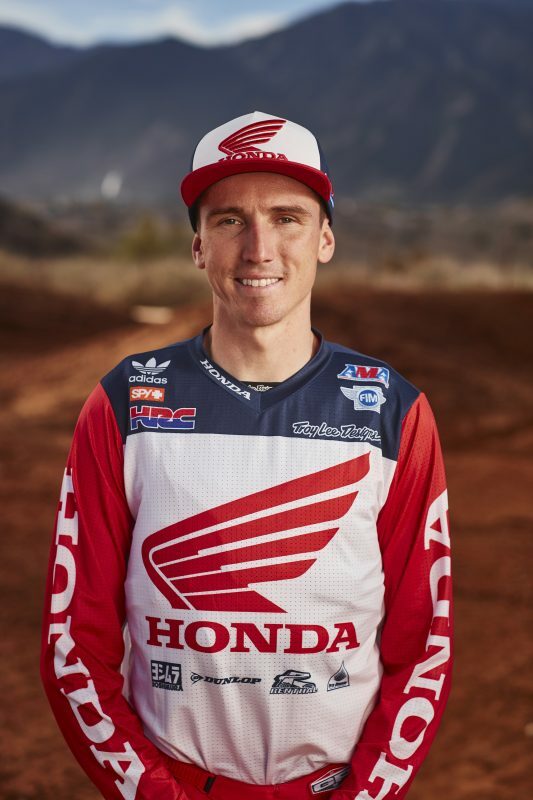 In case you missed it, below is the 2016 Team Honda HRC video.